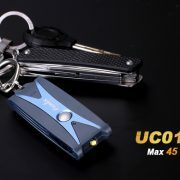 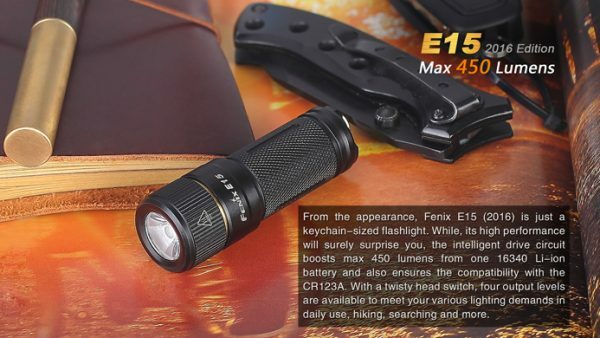 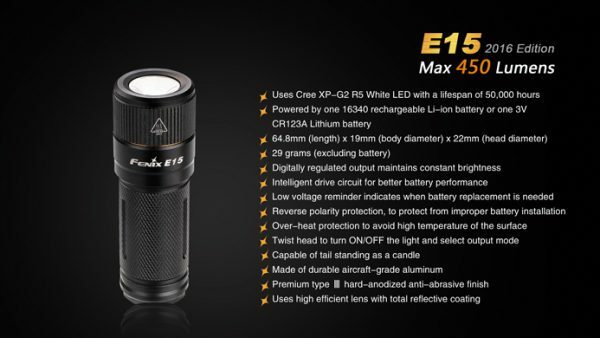 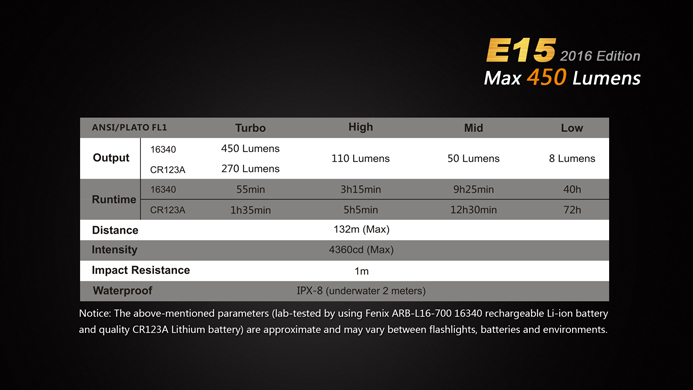 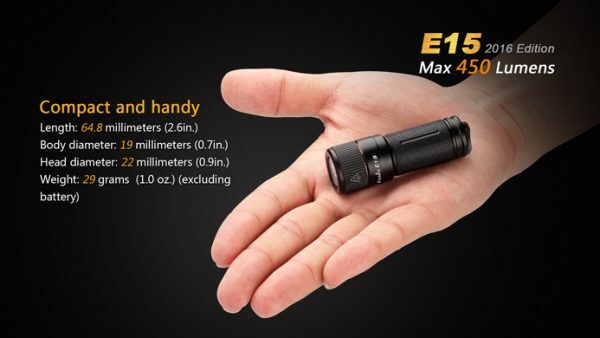 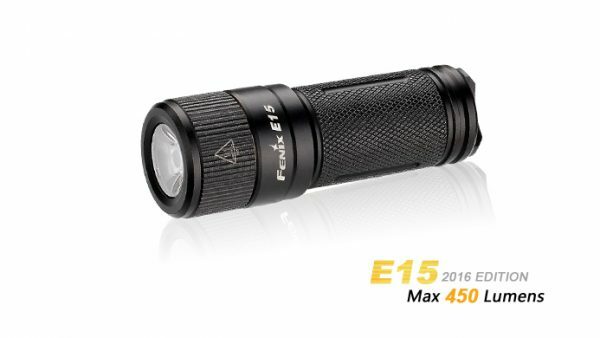 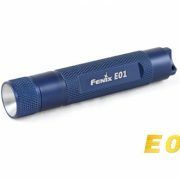 Fenix E15 2016 Flashlight,Spare O-ring, Key chain. 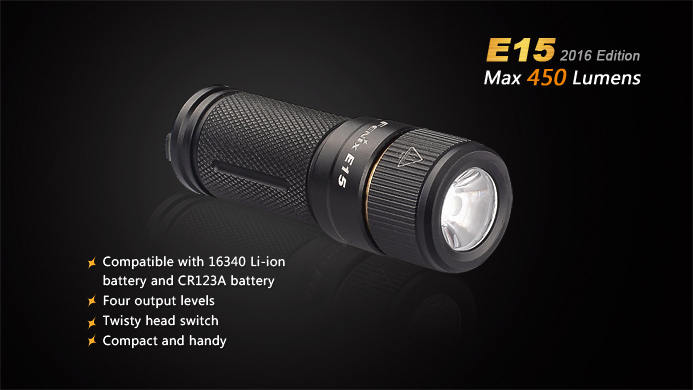 When the working battery voltage continues to drop lower, the flashlight will downshift to a lower brightness level. 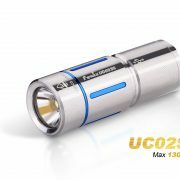 When it happens in low output mode, the flashlight will blink three times every five minutes to remind you to recharge the flashlight. 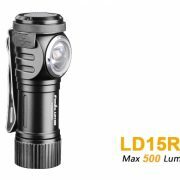 To ensure normal use, the flashlight will not turn off automatically until the battery runs out or the battery protection board stops the battery from working. 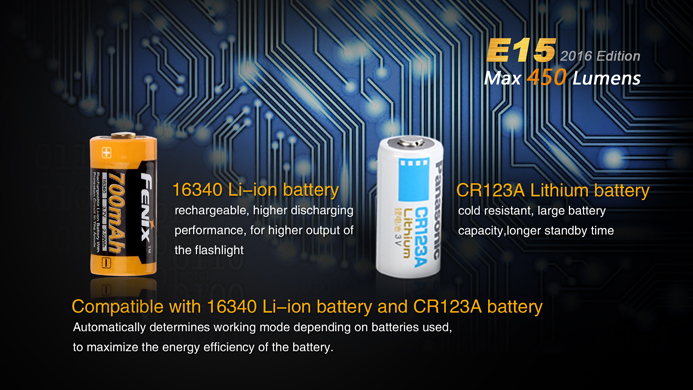 Note: Low-voltage Warning only works on 16340 rechargeable Li-ion battery. 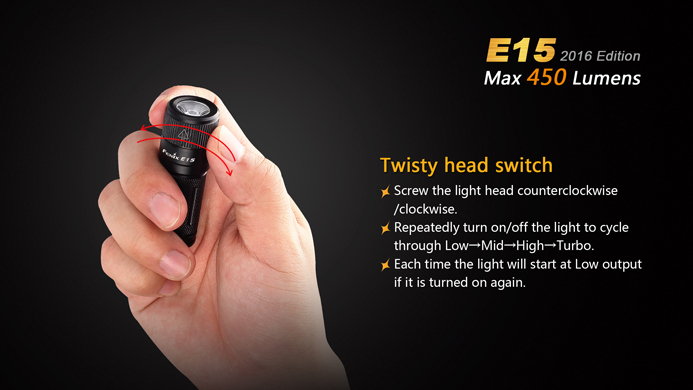 But when the voltage is below 3V, Low-voltage Warning will not work if the light is turned on again.